COULD YOU HELP SOMEONE LIKE STEVE? Our regular readers may remember when we wrote some years ago about Steve Suttor and his amazing determination to walk the Kokoda Track in PNG for The Baird Institute. 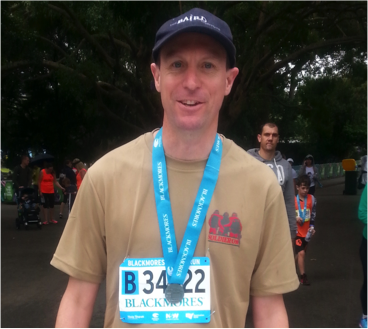 Steve achieved his goal back in June 2011 – he walked the Track and raised almost $10,000 for the Baird Institute! Not only do we appreciate Steve’s generosity and willingness to do this for us but we were also very grateful to his wife Sam, who willingly let him go, despite the fact that their second child was due to be born only a few days after his scheduled return date home! “I was only 15 when I got sick. I owe my life to the cardiothoracic doctors, surgeons and nurses who worked to save my life. For me, the choice to support The Baird Institute and to help them fundraise for their research work is obvious. I would never want others to experience what I experienced. I want to help others in the same situation – perhaps even through the money I raise to help save someone else’s life. I really want to give something back – to support those who helped to save my life”. Today Steve says he is feeling great. He likes to keep as fit as he possibly can, not only for his personal health but due to the fact that he is involved in training for the army reserves, he needs to be very fit. He also holds the belief that the fitter you are, the less likely you will be to get sick. Of course Steve is still prone to chest infections as there is a weakness there due to the surgery that he had, but his belief is that being fit and healthy reduces the amount of time that he is sick. Steve is a family man and has 3 adorable children with his wife Sam. They are the number one focus in his life. Steve is always looking for the next challenge.